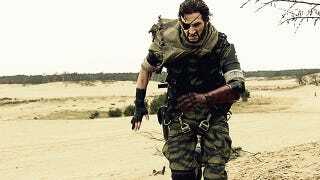 Last year, Dutchman Rick Boer showed us why he's the King of Metal Gear cosplay. This year, with a new game in the series due, he's back for a reminder. For these pics, Boer took to the wilds with photographer Cynthia Veekens. Two things to note: that's not Photoshop on his face, that's some damn fine make-up work. Also, he's not just got a real horse, he's riding it. Impressive!